Weight: 190gram including 50gram Comp B. 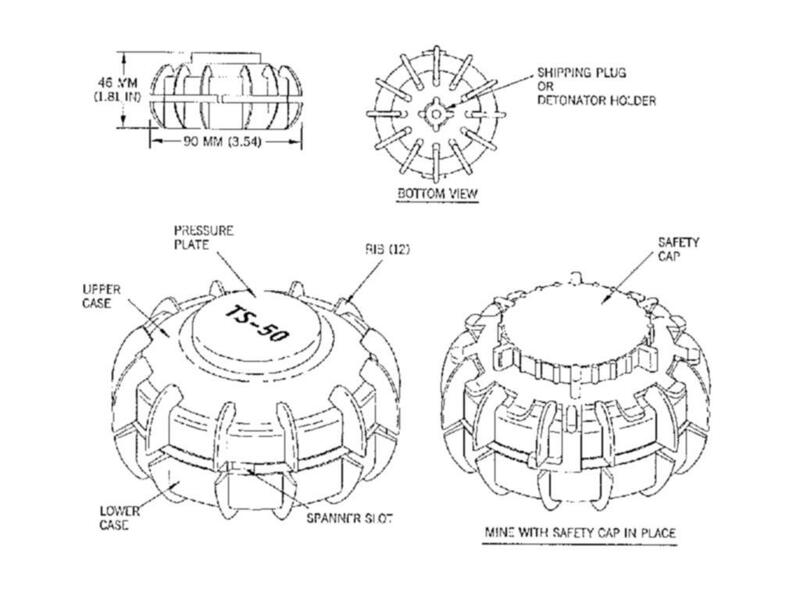 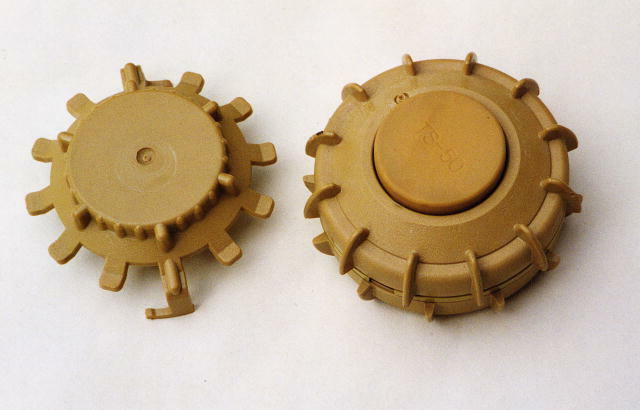 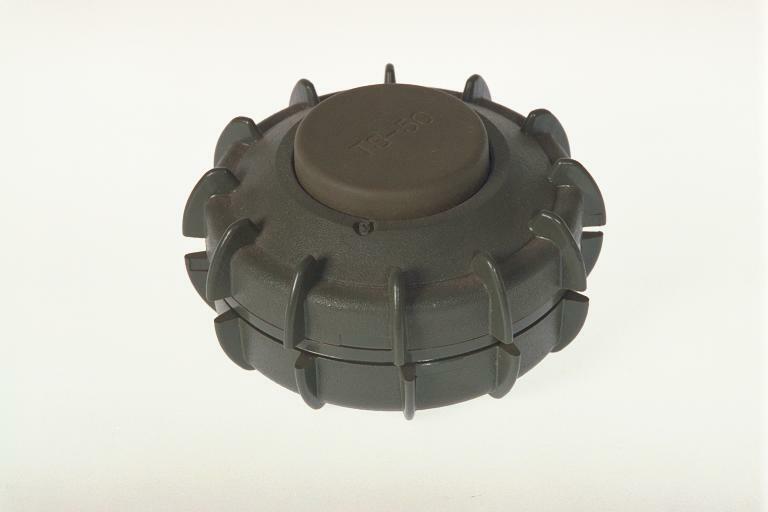 The TS-50 is a small, blast antipersonnel mine produced by Technovar of Italy. 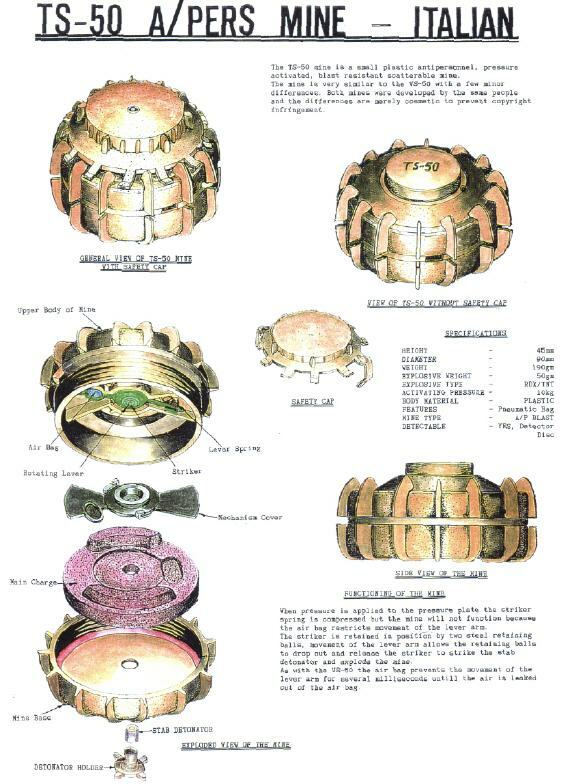 It is a cylindrical mine designed to be scattered from helicopters but is usually emplaced by hand, either surface-laid or buried. 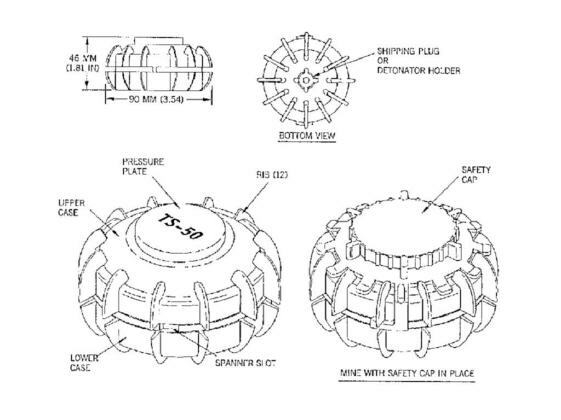 The mine is blast resistant and is designed to defeat most explosive countermeasures including explosive-line-charges and fuel-air-explosives.